Ducati Scooter Ready to Production? Rumors are saying Ducati will now begin work on scooters see a bright spot. Most likely it will come true rumors. Estimated it appears from the statement of the CEO of Ducati, Claudio Domenicali. Domenicali has reignited rumors about the making sukter. Gossip Ducati will work on previous scooter was born in 2011 after the launch of the cruiser models, which describe the breakthrough Ducati Diavel Ducati to make a motor that is not distinctive character. But, when the Ducati boss Gabriele Del Torchio denied these rumors. He said, no scooter manufacture have in mind the company. Now, Domenicali provide a statement that describes the readiness to work on a scooter. He said a scooter could be a model of the future. "Our brand is already well known to the characteristics of motor sport with values ​​that can be reflected in any kind of product. So, in other words, a scooter could be an option in the future," said Domenicali. Indeed, not the first time working Ducati scooter. Earlier, the Italian motorcycle manufacturer that has developed a capacity of 175 cc scooter called Cruiser from 1952 to 1954. 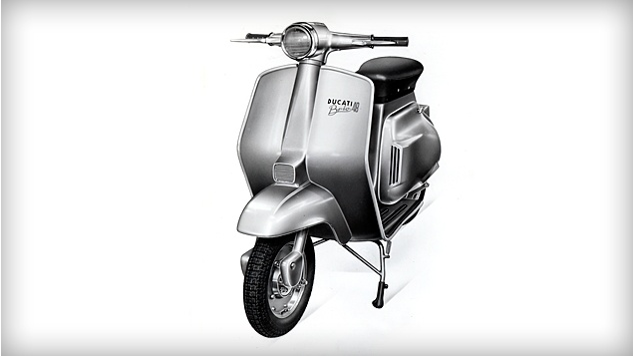 In addition, there are also other scooter models that bears the name Brio engine variants with 48 cc, 80 cc and 94 cc in 1963 to 1967 . No Comment "Ducati Scooter Ready to Production?"